Digital Media Firm based in Las Vegas, Nevada. Increase inbound sales through search engine optimization. Attract clientele in local area seeking fitness membership and personal training. Product: Plantworks designs and manufactures artificial plants, flowers and trees for residential and commercial use. Here are some recent reports of SEO success for Media One Pro. 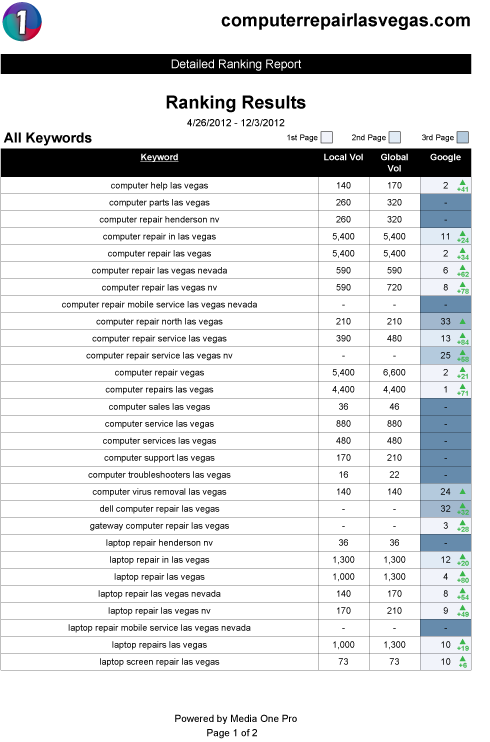 The #1 search term to find an SEO company in Las Vegas is “seo las vegas”.